Dr. Nelson grew up in a family where holistic health was the medicine of choice. Having a grandfather who was the president of the last accredited homeopathic medical college in the United States, the influence of diverse healing cultures began at an early age. This philosophy runs deep throughout Dr. Nelson's approach to problem solving of health issues. This is especially true with his chiropractic philosophy and practice. Dr. Nelson integrates chiropractic science and techniques with a practical application of manual therapies (muscle relaxation, muscle reactivation, soft tissue mobilization) and a strong background in functional rehabilitation and training. Dr. Nelson began on his path into the healing sciences with classes in homeopathy and holistic health at San Francisco State University where he was studying music at the time. After graduating with his degree in music, he taught classical guitar. However, his interest in the healing arts returned and he left music to pursue chiropractic. After graduating from Los Angeles College of Chiropractic in 1990 he opened a clinic in Crockett, California where he practiced for nearly fifteen years. Dr. Nelson has advanced training in manual medicine and rehabilitation and is board certified by the American Chiropractic Rehabilitation Board as a Chiropractic Rehabilitation Specialist. With special emphasis on orthopedic and sports rehab, prehab and functional training, Dr. Nelson combines modern chiropractic techniques and manual therapeutics with a progressive, active rehabilitation and training approach to help you reach your goals. 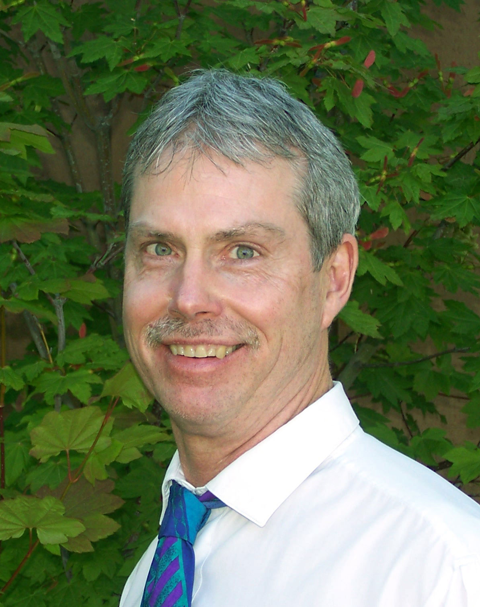 In 2011, Dr. Nelson relocated to Klamath Falls where he practiced at Pine Tree Chiropractic. Then, in 2014 he opened Condition For Life where the emphasis is on a holistic and natural approach while at the same time encouraging self reliance and empowerment. Condition For Life stresses a multi-faceted approach to your health including diet, exercise and chiropractic. Patient care utilizes a diverse system of chiropractic and rehabilitation that allows treatment for a wide variety of conditions including difficult cases. We customize your care to your individual needs. The providers at Condition For Life maintain an excellent relationship with the health care community to ensure proper and timely referrals when needed. Nancy has worked in Chiropractic offices for over 5 years as a Chiropractic Assistant and receptionist. She has advanced training in insurance billing and therapies, such as electro stim and ultrasound. When she’s not in the office, she enjoys spending time with her three kids out on the farm. If you have questions about scheduling your appointments or insurance, let Nancy know and she’ll be happy to help.